'Riedel' - a student favorite - is now available in the revised 8th edition. The textbook addresses students with a major in chemistry and all who require a solid basic knowledge of inorganic chemistry. 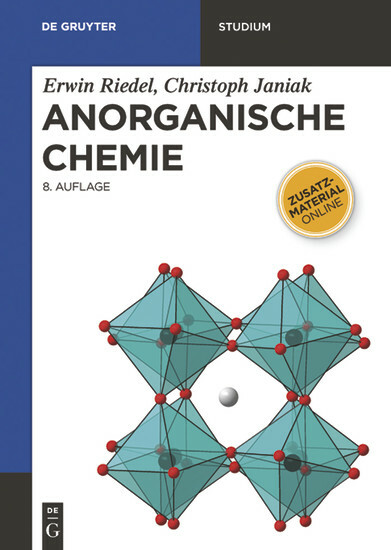 Clearly structured and focused on the essentials, the two parts of the book cover basic theory and inorganic material chemistry - within the framework of an excellent didactic concept. Contains 419 color illustrations and 106 tables. Erwin Riedel, Technische Universität Berlin (em. ); Christoph Janiak, Heinrich-Heine-Universität Düsseldorf.